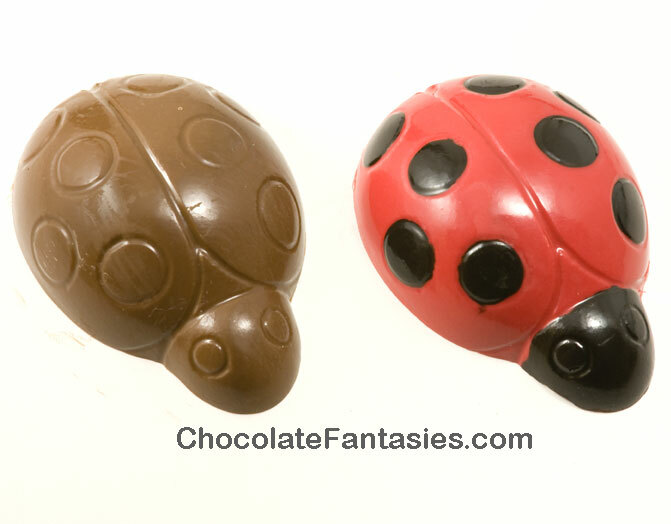 Solid milk chocolate ladybugs in adorable foil with paper legs. 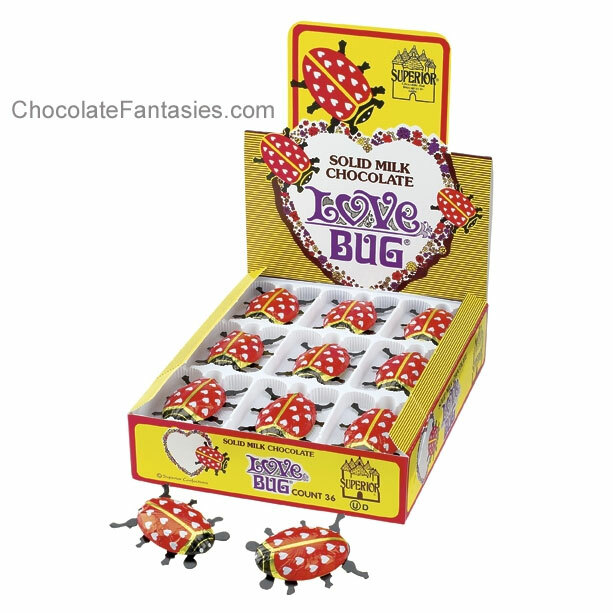 Each love bug is 1/2 ounce each and is Kosher OUD. Sold by the 72 pc case (two 36 piece displays) or 24 three piece gift boxes. Great for Valentine's, science or biology teachers, kids parties, etc. Drop shipped from the NY manufacturer. IMPORTANT CASE SHIPPING INFO! 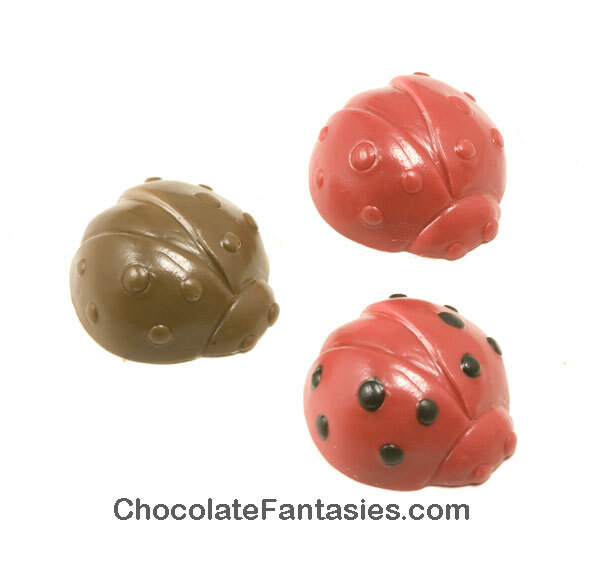 Sweet and adorable milk chocolate ladybugs. 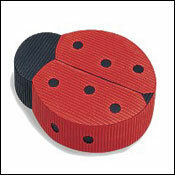 .5 oz ea., 1 3/4 x 1 5/16 x 9/16, sold by the 60 pc display, six 60 piece display case of 360 pieces total, case of 24 6 pc gift sticks or adorable lady bug box. Displays are considered a case and will drop ship from manufacturer. Kosher OUD. IMPORTANT CASE SHIPPING INFO! 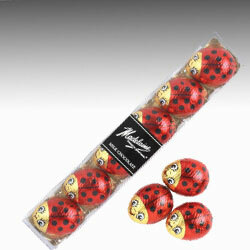 Solid mini ladybugs in plain or with spots. Approximately 1.5 x 1.5 x 1" ea. Sold by the each in a gift bag tied with ribbon., gift boxed tied with ribbon. or pound bulk box. Approximately 32 pieces per pound, .5 oz ea. Available with or without black spots. 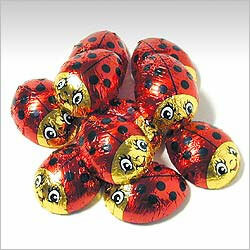 Solid big fat ladybugs in plain or with spots. Approximately 3 7/16 x 2 3/8 x 1" ea. 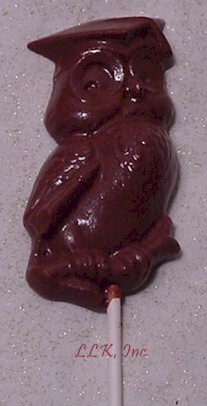 Sold by the each in a gift bag tied with ribbon., approximately 2.5 oz ea. Available with or without black spots. 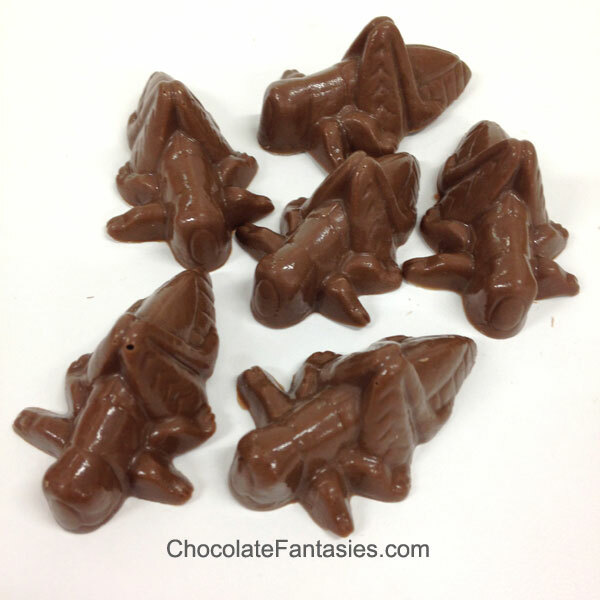 Cute and happy milk chocolate bees. .5 oz ea., 1 3/4 x 1 5/16 x 9/16, sold by the 60 pc display, six 60 piece display case of 360 pieces total or case of 24 6 pc gift sticks. Displays are considered a case and will drop ship from manufacturer. Kosher OUD. IMPORTANT CASE SHIPPING INFO! 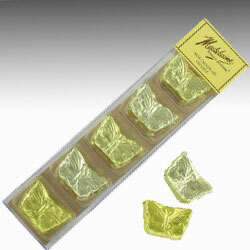 Delicious creamy milk chocolate butterflies wrapped in gold toned foils. 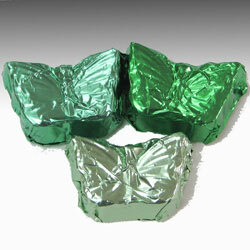 Rich, gourmet dark chocolate truffle butterflies wrapped in mint toned foils, 1/2 oz. ea.. Sold by the 35 pc tub, 3 tub case or case of 16 5 pc gift stick. Kosher OUD. IMPORTANT CASE SHIPPING INFO! 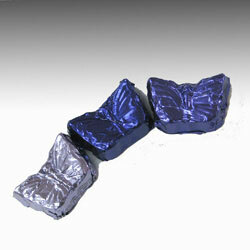 Delicious creamy milk chocolate butterflies filled with peanut butter wrapped in blue toned foils. 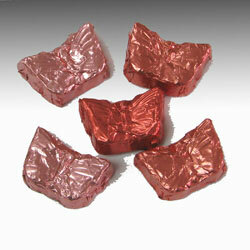 Delicious creamy milk chocolate caramel filled butterflies wrapped in peach toned foils, 1/2 oz ea. Sold by the 35 pc tub, 3 tub case or case of 16 5 pc gift stick. Kosher OUD. IMPORTANT CASE SHIPPING INFO! Peanut butter chocolates are not on the peanut recall list. 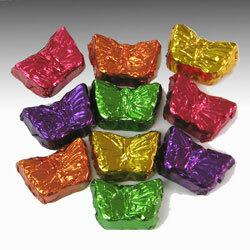 Solid gourmet milk chocolate butterflies wrapped in jewel toned foils, 1/2 oz ea. Sold by the 3 tub case. Kosher OUD. IMPORTANT CASE SHIPPING INFO! 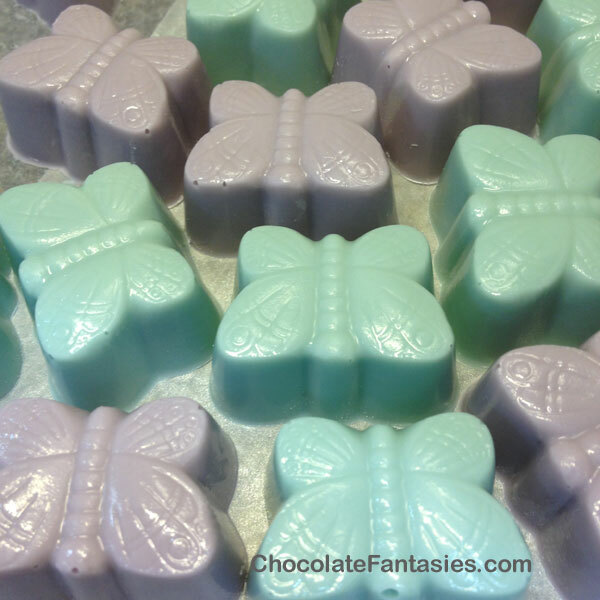 Cute and chunky solid little butterflies. Available in gift boxes, bulk and fancy with pearl dust. Approx. 30 pieces per pound. 6 pcs. in 3 oz. box. Approx. 1/2 oz., 1.25 x 1 x .75 inches ea. White Chocolate Light Pink Chocolate Med Pink Chocolate Lavender Chocolate Light Blue Chocolate Milk Chocolate Dark Chocolate Three Ounce Gift Box - $5.00 ea. 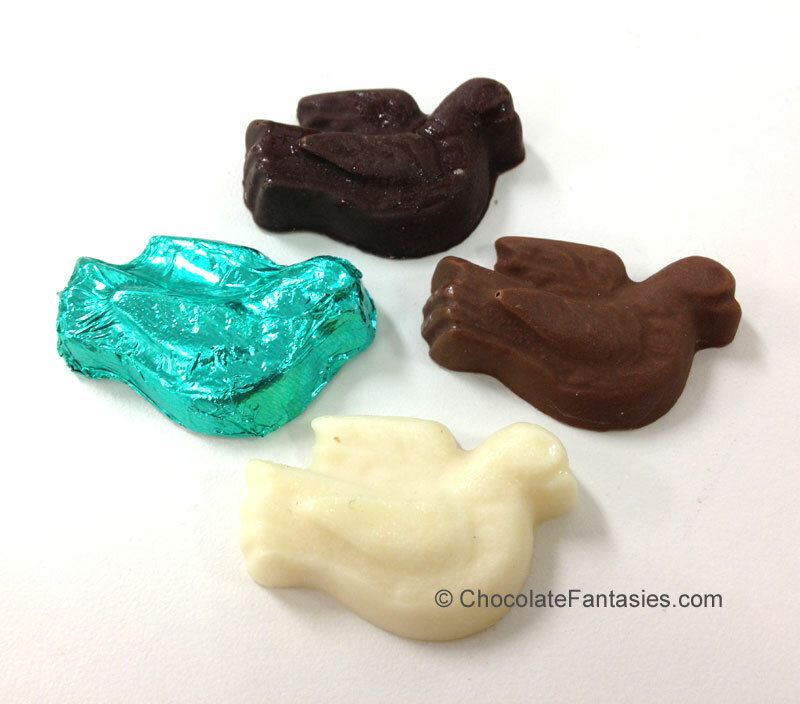 Solid milk chocolate butterflies wrapped in foil colors and chocolate flavor of your choice, approx. 1/2 oz ea. Sold by the pound in a bulk box. No ribbon. Approx. 30 pcs. per pound. Butterflies are actually the ones above, but foil wrapped. 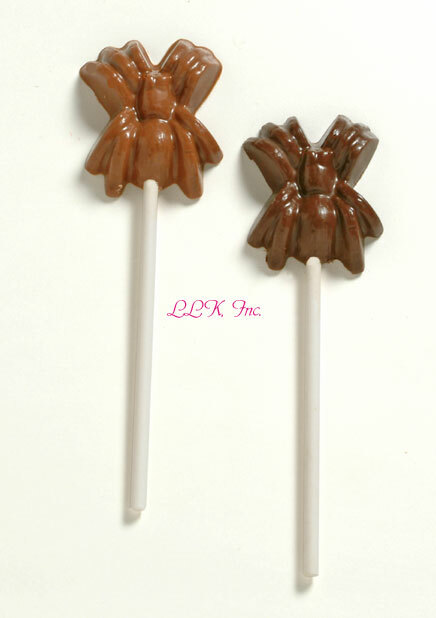 Chocolate Butterfly Lollipop - $3.50 ea. 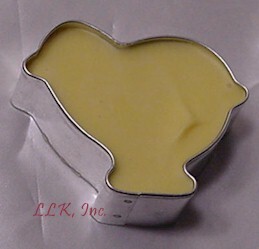 White chocolate is brushed with beautiful pearlized powder. 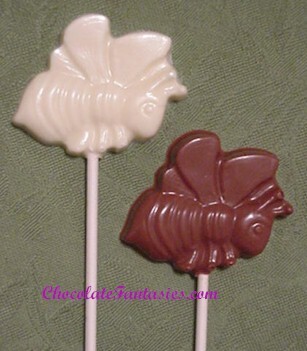 Chocolate Bee Lollipop - $2.90 ea. 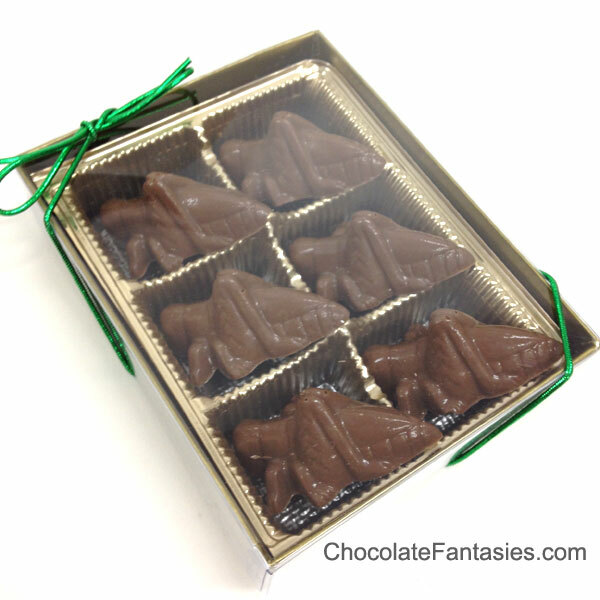 Real & highly nutritious freeze dried crickets enrobed in our luscious chocolate and disguised in our cute cricket mold. Yuck or Yummy!? Set of 6 - gift boxed, tied with ribbon.. Also available without the cricket inside. With red comb and wattles and beige basket. 2.5 ounce 3.25 x 3", poly bag, tied with ribbon. Available in one or three color as shown. 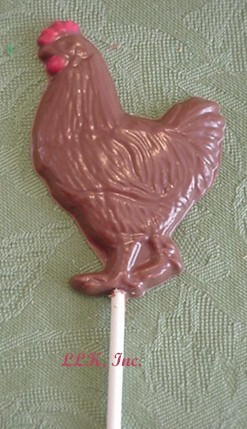 Chocolate Chicken Hen Lollipop - $3.00 ea. With red comb and wattle. 1 ounce, poly bag, tied with ribbon. 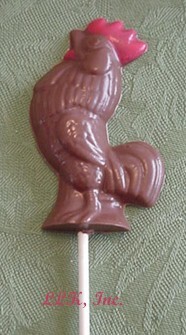 Chocolate Rooster Lollipop - $3.00 ea. 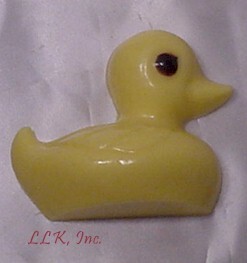 Lucky Ducky - $3.00 ea. 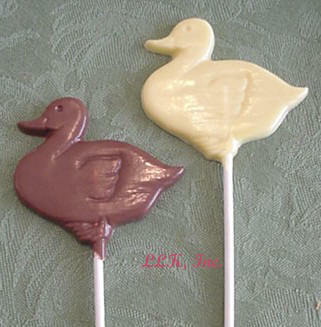 Chocolate Duck Lollipop - $2.50 ea. 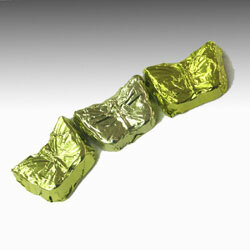 1.3 ounces, poly bag, tied with ribbon.. Choose from solid one color or two color designs. Two color, choose chocolate flavor, top will be green. 1 ounces, cello bag, tied with ribbon.. Coconut flavor is available for .15 each extra, minimum 12 pcs., email us. More palm trees with flamingoes, click here. 1.5 ounces, poly bag, tied with ribbon.. These are beautiful with gold dust, .50 more each, email us. 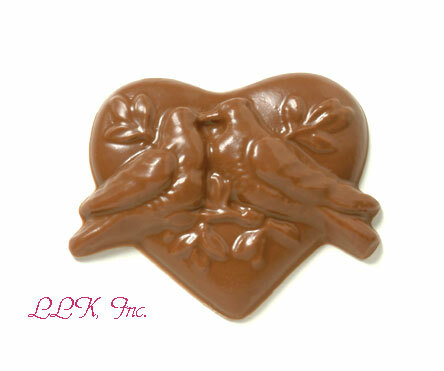 Love Birds Lollipop - $3.00 ea. 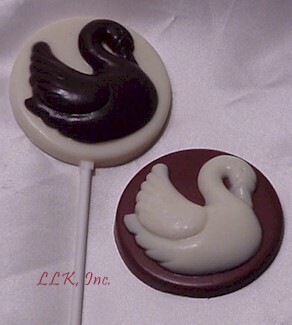 Chocolate Swan Lollipop - $3.50 ea. 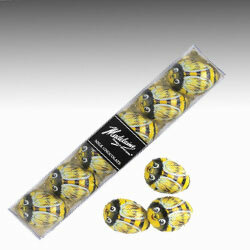 1.3 ounces, poly bag, tied with ribbon.. Available in one color solid or two color designs. 1 ounce, poly bag, tied with ribbon.. Approx. 4.5" long. 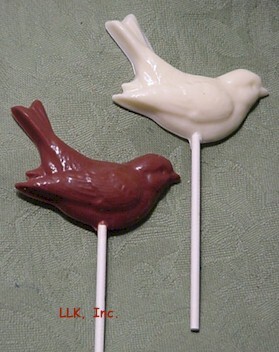 Hummingbird Cameo Lollipop - $3.50 ea. 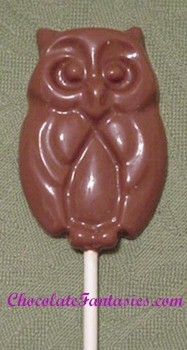 Wise Owl Lollipop - $3.00 ea. 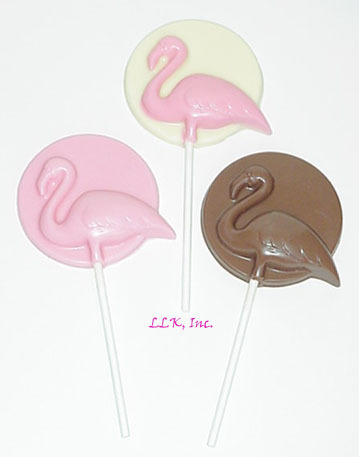 Birdy Lollipop - $2.50 ea. 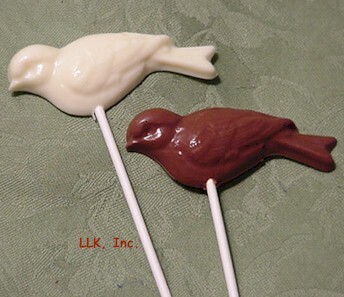 Chocolate Song Bird Lollipop - $2.50 ea. 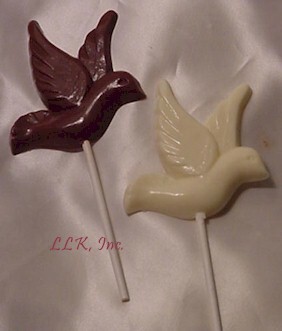 Chocolate Dove Lollipop - $3.00 ea. Sold by the 10 piece gift box that is tied with ribbon. 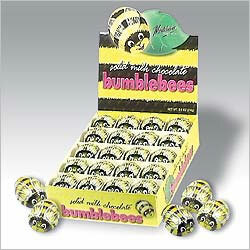 or bulk 1 pound box without foil (plain, pearled or gold dusted) or with any color foil you request. 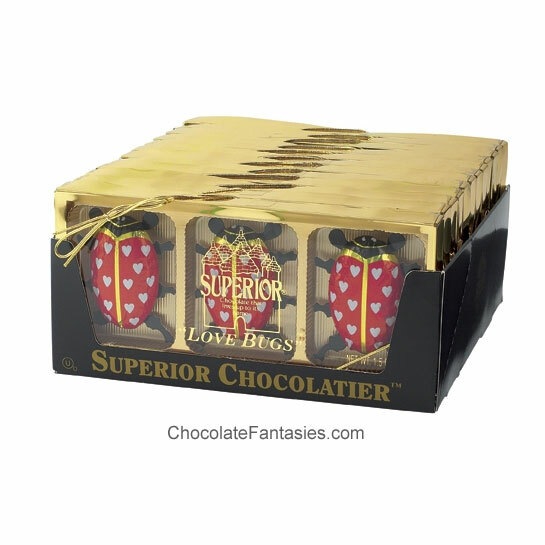 About 5 pieces per ounce, approximately 75-80 per pound without foil and approximately 70-75 pieces per pound with foil. Approximately 1 1/2" x 1 1/8" ea. You must enter the foil color you'd like in the special instructions line when you check out and you may choose up to 5 foil colors. 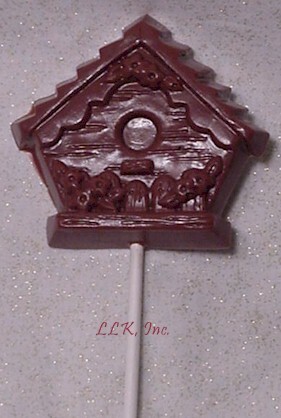 Chocolate Bird House Lollipop - $3.00 ea. 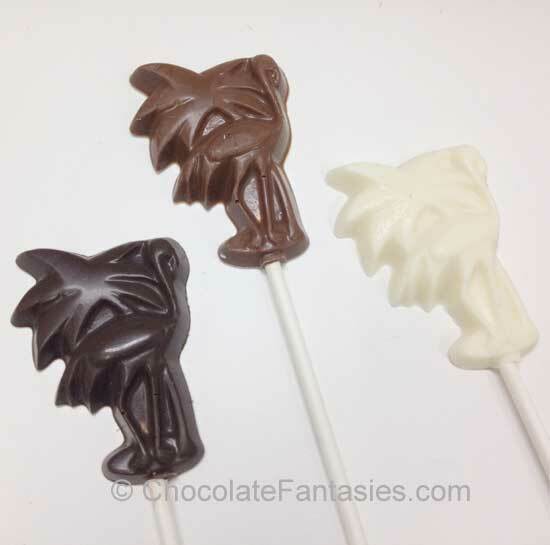 Penguin Lollipop - Starting at $3.25 ea. Cute little fat penguin in one color or two color. 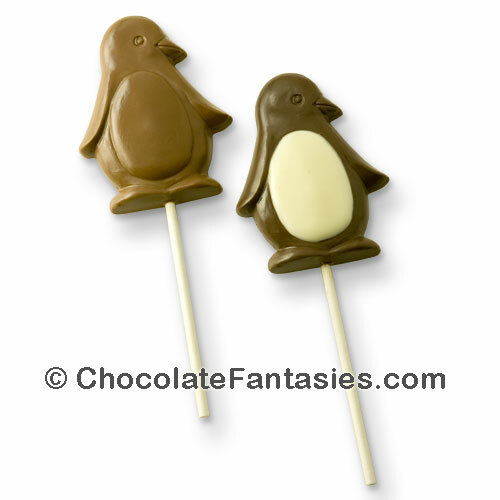 Penguin on right is dark chocolate with white belly. 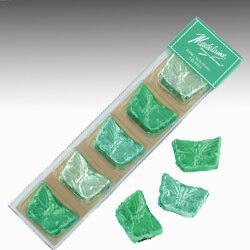 Clear poly bag with ribbon - 1.5 ounces. Click here for the winter penguin with scarf and hat. 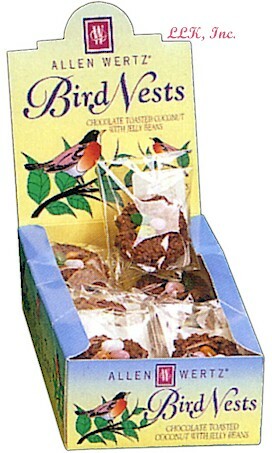 Toasted coconut and creamy chocolate make these clever little bird nests. Inside each nest are three speckled jelly beans (eggs) - 1.5 ounces. These are manufactured by our company now. They're bigger and better than the store bought brand. Cute and fun. All are in poly bag, tied with ribbon.. Chick is 2.2 ounces and Egg is 2.5. 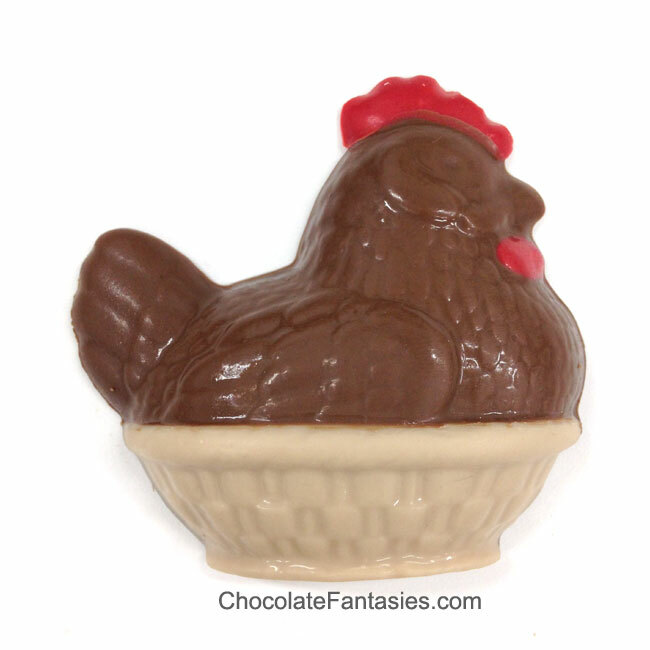 Pop out the solid chocolate and you have a cookie cutter to use later!